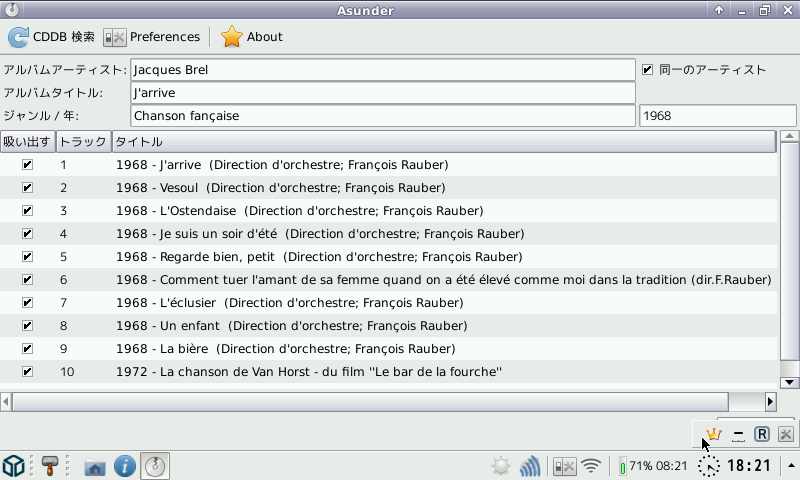 Asunder is a graphical Audio CD ripper and encoder for Linux. You can use it to save tracks from an Audio CD as any of WAV, MP3, OGG, FLAC, Opus, WavPack, Musepack, AAC, and Monkey's Audio files. NOTE: Screenshots show a Japanese language interface but by default it will support your default system language as well. Do not worry. 20th Aug 2013: Build 2 / I think OGG conversion works now. Hopefully. 18th Aug 2013: Build 1 / Fully operational but for some reason OGG encoding does not work. Will probe further. 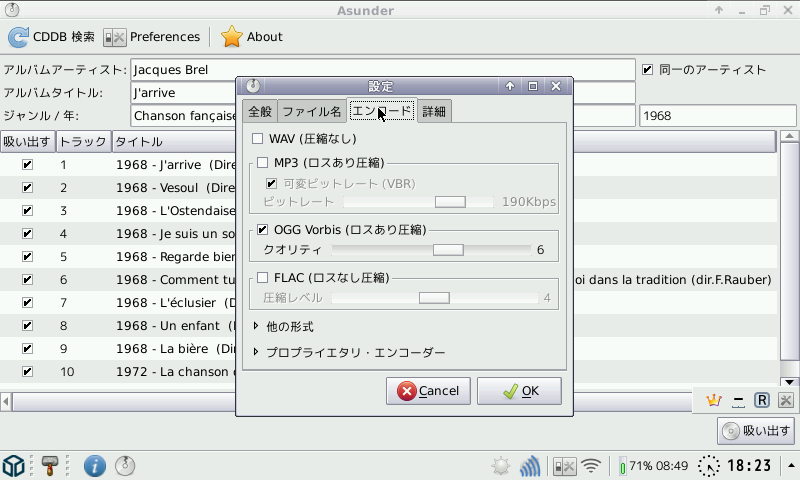 But MP3 and FLAC encoding work fine. 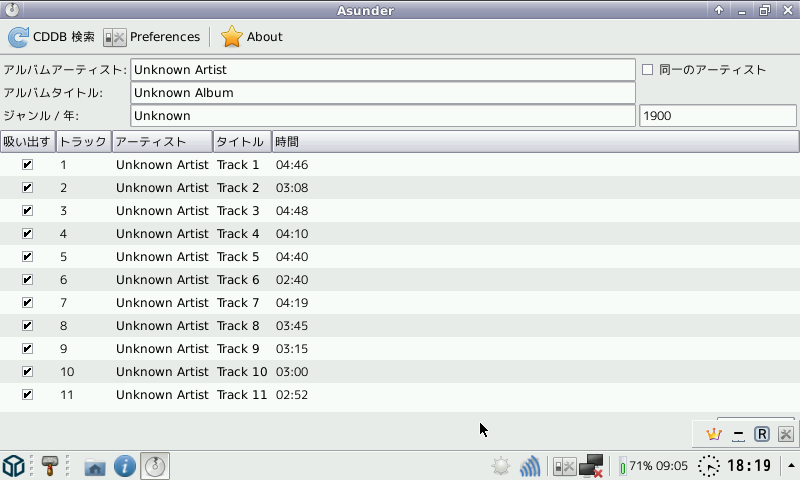 The screenshots show the application with Japanese labels. Is this application also available in English or other languages? English screenshots appreciated.